∙ Coat rack hand-crafted in sustainably sourced FSC Pine. Wall mounted coat racks with brass hooks, handmade in solid FSC Pine. Boot&Saw coat racks feature double brass hooks to provide maximum space efficiency. Available in a range of sizes with 2 – 6 double hooks, our sturdy racks simply screw to the wall to hold your coats out of the way with a handy shelf above for keys, hats, gloves etc. 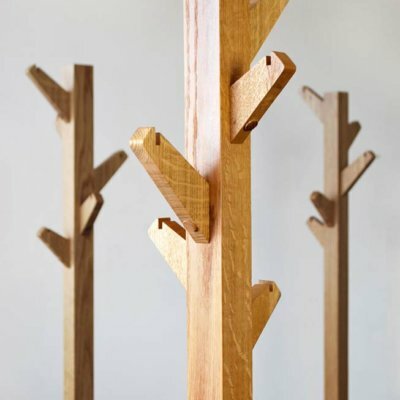 As with everything here at Boot and Saw, our wall hanging coat racks are designed and manufactured by hand using the best quality FSC approved timber available, so you can be sure your coat rack will last. Each wall mounted coat rack is finished with hard wearing yacht varnish. If you’d prefer to paint it just ask and we’ll send it in bare wood for you. We can also fit shaker pegs in place of your hooks if you’d prefer, at no extra cost. Our wall hanging coat racks are also available in solid Oak.